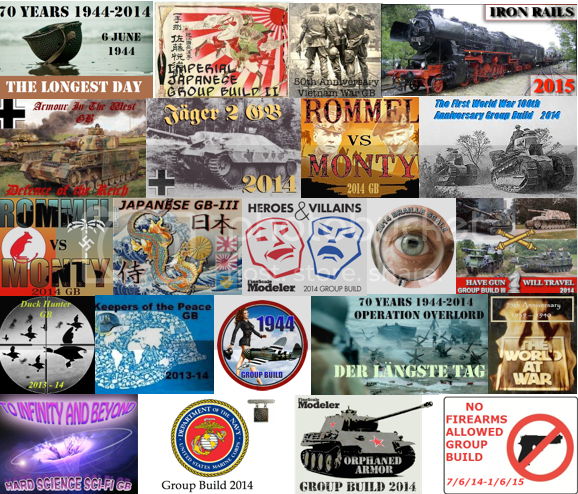 JIBBER and I are starting a Railroad GB, IRON RAILS 2015. IF YOU STARTED SOMETING IN 2015 DON'T RUSH IT FOR THE DEADLINE. FINISH IT AND POST IT AND I WILL UPDATE THE FRONT PAGE. 1. If it runs on rails it's in: locomotives, rail cars, railroad guns, trolley cars, armored trains, armored cars, tricks and automobiles with train wheels. 3. Any scale, any era, real or fantasy. If you don't know by now, i tend to embrace the unusual and weird so ask. JIBBER is the sane one here. 4. Crossovers are fine, actually more than welcome since they may be unusual. 5. Post here or PM me (WAYNEC) a picture of the box art i will post it on the roster page along with finished builds. 6. Because of the way the forum works, I will initiate the GB and will update the roster on the home page but JIBBER will be posting comments so send stuff to either one of us. GMORRISON - 1/160 eight Pacific Fruit Express refrigerator cars (Intermountain) on an icing dock at Salinas California. Head end power TBD steam for sure. It started as an impulse buy for the 1939-40 GB where I signed up for an armor vehicle then by chance I got thinking about a locomotive so Checkmateking2 was kind enough to change my entry. I've enjoyed it so much, Wayne and I started talking and decided that a Railway GB would be something different and challenging so here we are. We'd like to welcome anybody who wants to try something out of the ordinary and very doable with something here for everybody. 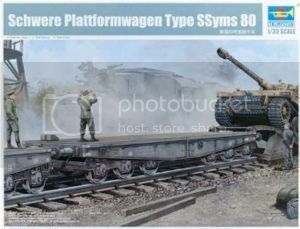 There are many options available, but any locomotive, railcar, rolling stock, trolly car or rail gun, even a flat car loaded with your favorite AFV would be a great entry, anything on a rail works. I would think something from the Sci Fi world would also have something here, the idea is to break away from our everyday builds and just enjoy it. 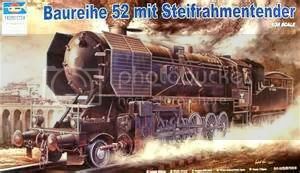 I guess I'll kick it off with my entry, a German BR86 Locomotive in 1/35 by Trumpeter. Rats! I just sold my 1/72 Karl Morser! . I just can't pass up a group build. I'll certainty find something. It will take some time before I start a build for it but put me down. I'll find something. 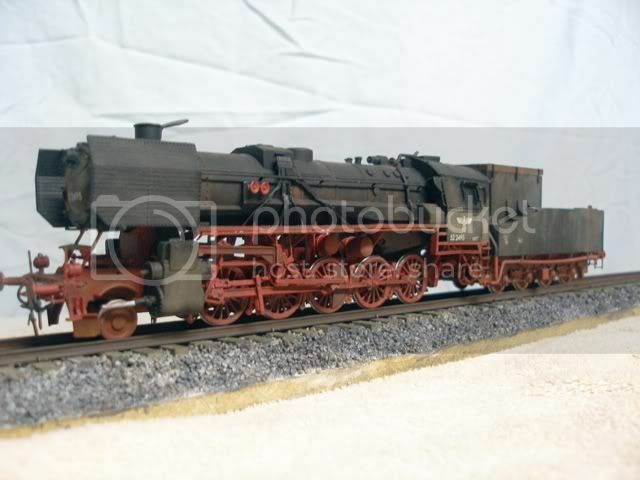 As someone who has not built a loco before, what kit makers (mainstream) do make them? Steve great to have you theres a lot out there. I have a 1/72 Karl sitting on the shelf that I picked up for about $25 on Ebay. I couldn't pass that one either. 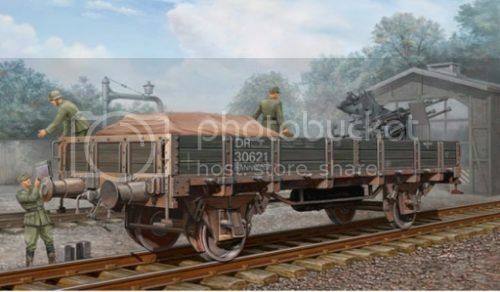 UM makes an entire soviet armored train. cmk makes a couple but they are resin and very pricey. 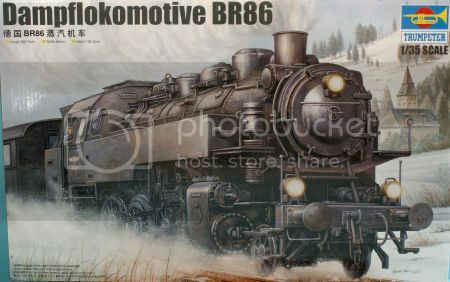 REVELL has some in 1/87 that are nice, including a number of german locomotives, BR01, BR02, BR-43, BR-50. ITALERI has one but i think REVELL has the same one. i think the ESCI kits are repackaged as REVELL so add a BR-41 to the list. 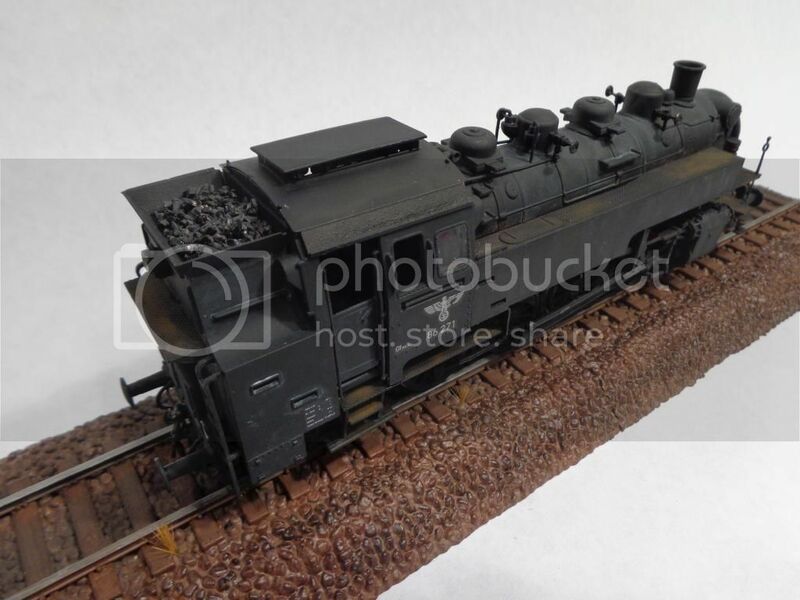 the nice think about HO scale is you can buy the premade track instead of using the plastic or laying track. JIBBER came up with the idea while working on his BR-86. hypertex thats unusual for sure, and welcome. This one I can't wait to see, do you have any idea what scale it is? It's 1/26th scale, if you can believe it. I have no clue why they chose that scale. Thats a really nice choice and a cool scale, thanks for bringing it. 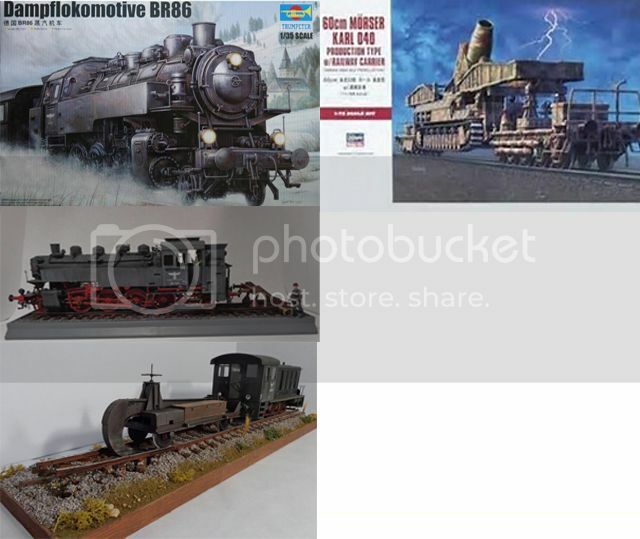 Scalemates has 523 RR kits listed. Wow! I had no idea there were so many! 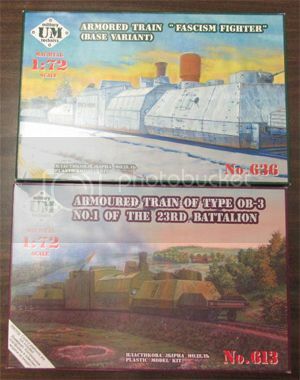 And I know there are more, I have two HO Hudson kits that are not listed. 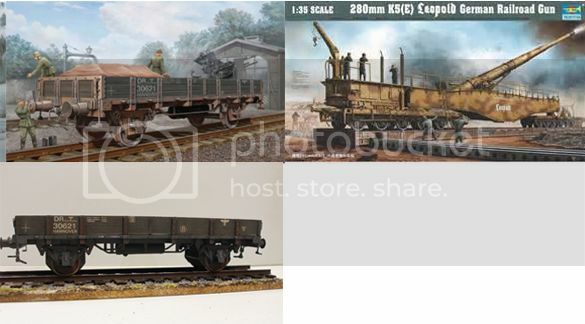 In terms of mainstream kit makers, aside from the Revell stuff already mentioned, Trumpeter released some WW II German stuff in 1:35 scale. Those are big kits, but I have 2 of them. Wish I could build one for this group build but I have too many projects going already. Alas, I have to stick with my simple Rocket kit. 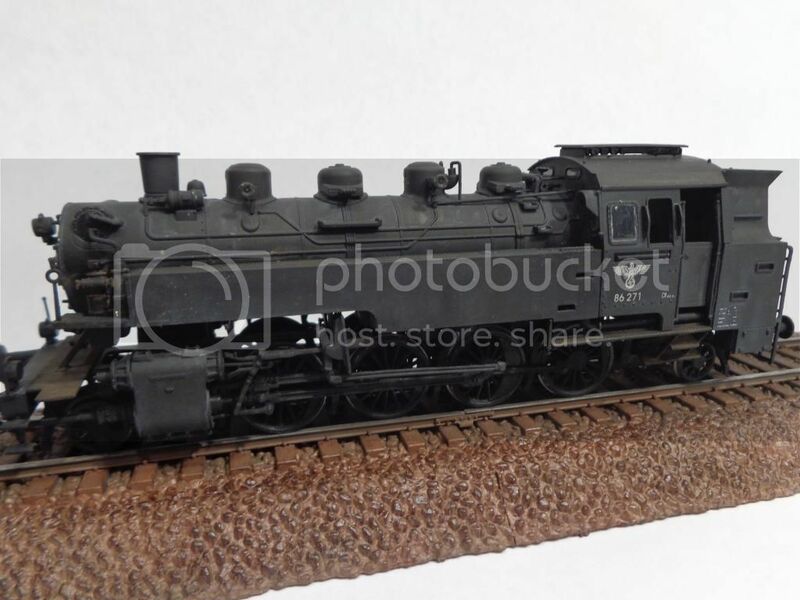 Also, RoG has a Big Boy locomotive in HO scale; my local Hobby Lobby sells that one. Then there's the big "The General" from the US Civil War, released by several manufacturers. I hope you find something you like, Theuns. Man I can't wait for this GB to get started! BTW, I'm an online GB noob, so if I'm violating protocol, sorry. 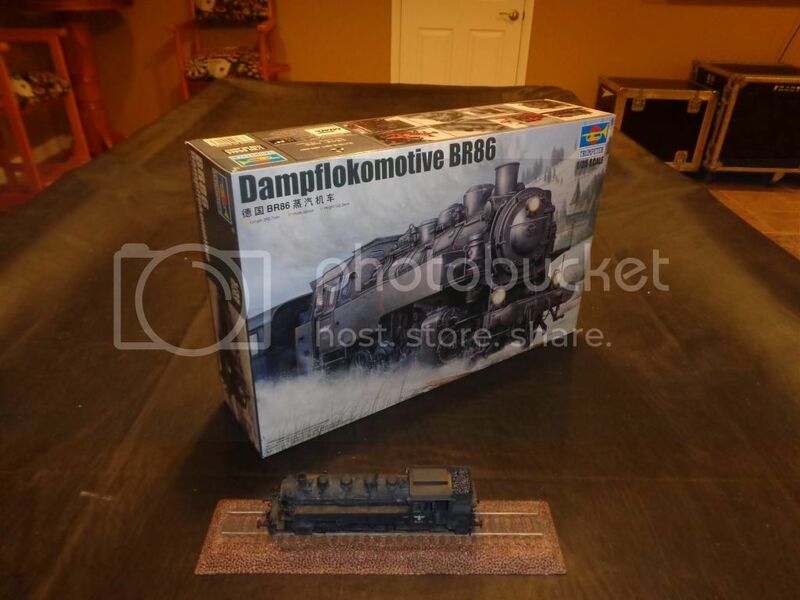 I just finished a German BR86 locomotive for the 1939-1940 GB and I thought I'd post a couple pics here. This kit by Hobby Boss in 1/72 for under $30 was a real value and a fun kit to build. The kit comes complete with the track sections and I think it made a nice presentation. the GENERAL is 1/25ish. i scored one from a friend who was dumping his plastic since he builds museum quality wood ships. the RoG kits are nice. 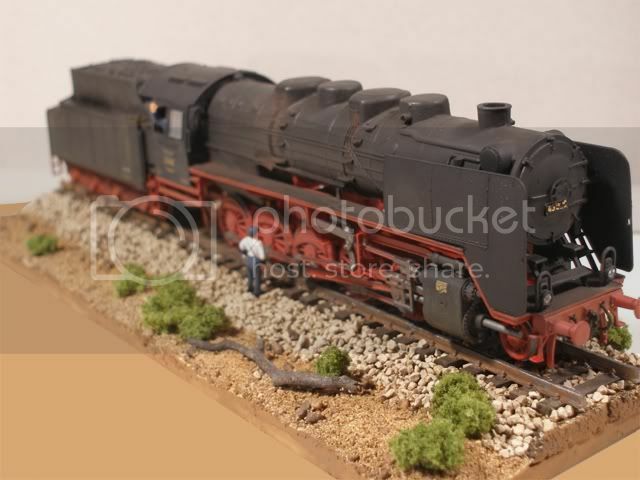 i have built two and you can use HO rails instead of the plastic stuff which doesn't look good. 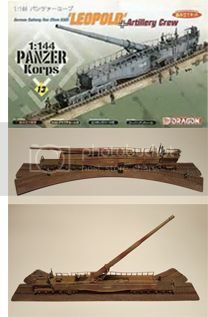 i think JIBBER and i have all the 1/35 stuff except DORA, of which my 1/72 is still a possibility though the 1/35 BR-52 keeps calling me especially since JIBBER has jumped on the 1/35 BR-86. I agree, the next base I'll build from stock. My 86 should be here in a day or two, can't wait to open the box. I'm thinking about some AM packages but they're pricey and I've found three of them offering something a little different in each? I'm leaning towards the Alliance product because they have about 40 resin parts plus all the other goodies. personal opinion i don't think the AM dose that much more for the kit for the price. 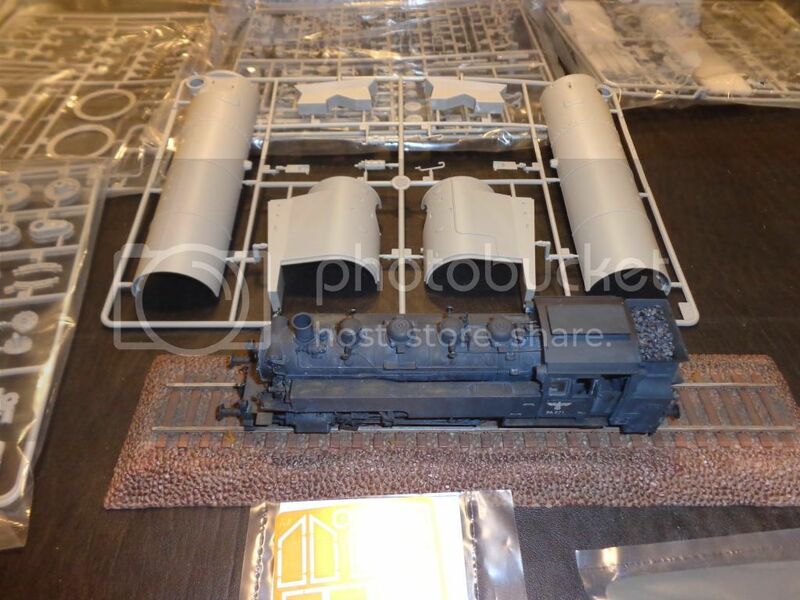 i can see PE smoke deflectors on the 1/35 BR-52 but a clean build with a good paint job and reasonable weathering will produce an excellent build. 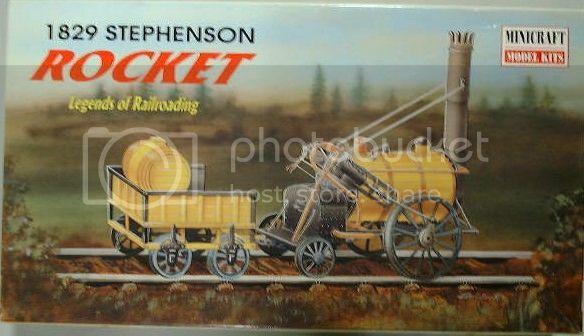 i would consider spending the money on some figures or even a railcar. but i'm the same guy who bought the rockets and the truck PE package for my BM-21 though i did pass on the $40+ USD PE set for the rocket launcher assy. I'm more interested in the resin parts than all the excessive PE. I don't mind working with it but it sure looks like overkill. I'd like the wheels, cab and boiler pieces. Guys I've decided to build the 1/72 Hasegawa Leopold. Now I just need to get it. i built that one. have a spare in the stash too. also the HOBBYBOSS on which might be a tad better. the HASAGAWA doesn't have a breech block, just a hole. not sure about the HOOBYBOSS. easy enough to fill so there isn't a big hole. Looks like it would be a nice addition to the display shelf. I'll look into the Hobbyboss kit as well, I have time and about 5 other GB's to work on. don't we all. these, like towed guns in travel mode, have a narrow base so they can fit in nice places. mine are on book shelves in front of the books, one per shelf. won't work as well with the 1/35 ones. still haven't decided on build. Nice choice. That ones on my list too, I'll look forward to seeing yours. I have a Haseghawa Morser with travel carriers waiting on the shelf, but I did go through the box and instructions, and it looks like a quality kit. 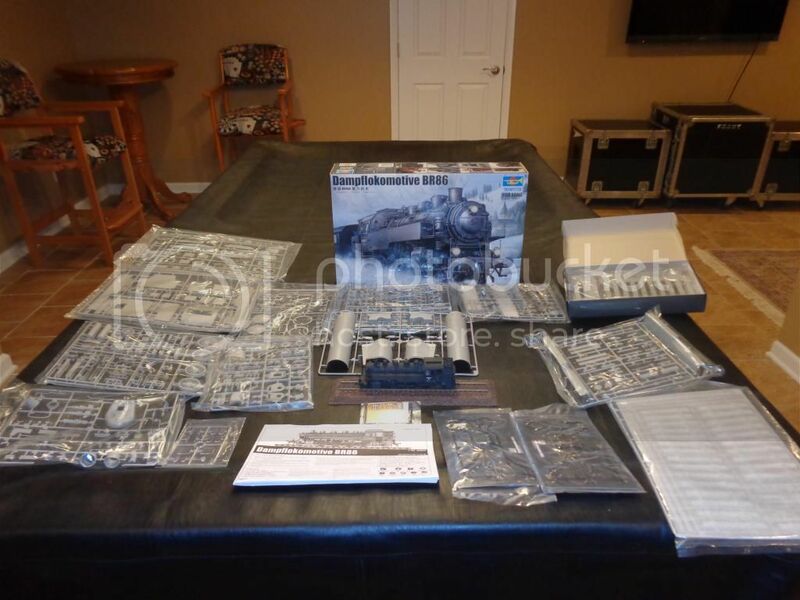 I received my BR86 locomotive by Trumpeter in 1/35 and theres a lot of plastic here. For scale I place my 1/72 in front of some boiler parts. I can't wait to start this one. JIBBER and i have decided anyone joining can build the base prior to the start. why? because we really want to start this but have other GBs to finish up. 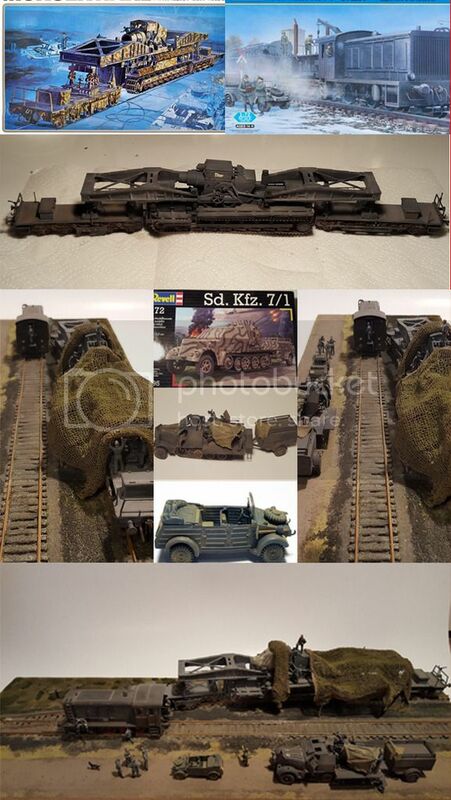 I definitely think it doesn't take anymore time to build your own 1/72 rail bed and it looks a lot better. i am going to work with the 1/35 because of the way the ties are separate from the ballast. i may be able to make it look decent. where i am going to put 3 feet of base (and more with K-5 + WR-360 C-12) is another thing. 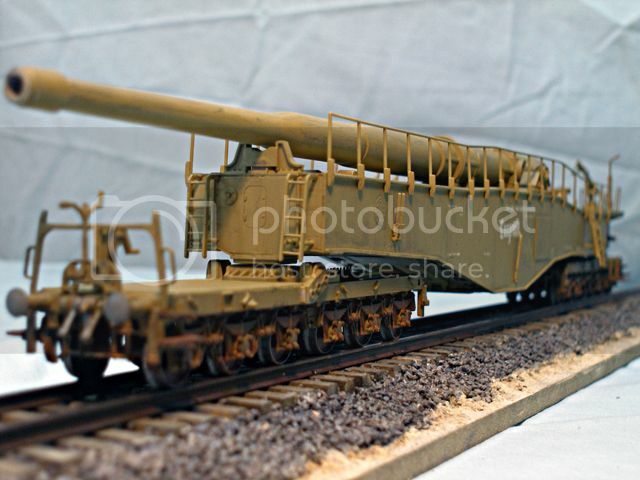 i just picked up the 1/35 ITALERI AUTOBLINDA AB-40 FERROVIARIA. it's an armored car set to run on rails. i know there are some soviet ones out there too.